The Mexican government wants to make sure undocumented Mexican citizens studying in the United States know what resources are available to them. 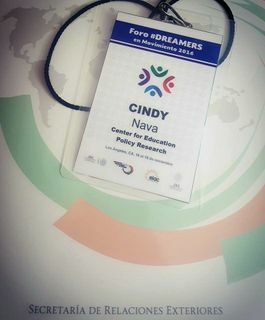 To connect with those students, the Mexican Ministry of Foreign Affairs held its first ‘Dreamers in Motion’ conference in Los Angeles last month. 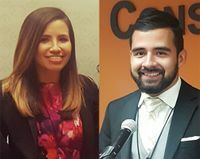 Students from The University of New Mexico, including Cindy Nava and Abdiel Ramirez, were there taking part in the conversation and collaborating with students from around the nation about how to link DREAMers to resources. As the first-of-its kind conference, ‘Dreamers in Motion’ broke new ground by bringing innovation and policy initiatives to the undergraduate and graduate level. In 2012, the Secretary of Homeland security announced the Deferred Action for Childhood Arrivals (DACA) Policy, which allows certain people who came to the United States as children to apply for a two-year, renewable reprieve from deportation. The guidelines for requesting DACA say a person must be under the age of 31 (as of June 15, 2012) and have arrived in the United States before their 16th birthday. They must also be seeking education and have no criminal background. Many of the people protected by DACA are of high school or college age; but since they grew up in the U.S., they are unaware of the resources available to them in the countries of their nationality. Nava immigrated to the United States from Mexico as a child and has never known anything different. She believes New Mexico is the best state she could have grown up in as an undocumented immigrant; and became an advocate for the Legislative Lottery Scholarship because of how important she feels it is to New Mexico students. Nava dreamed of going to college, but she always thought that it could never be a reality. UNM has a long-standing history of working with undocumented students and striving to remove barriers, creating a path to graduation regardless of citizenship or status. Students like Nava and Ramirez have benefitted from UNM programs and are in a unique position to give the Mexican government insight on how to help other DACA students. The ‘Dreamers in Motion’ conference brought together 119 students from all parts of the U.S., most of whom are beneficiaries of deferred action programs. During the event, there were forums on entrepreneurship, education, ties with Mexico, leadership and civic empowerment. Students participated in different “tracks” developed around the five themes, created initiatives to benefit the Mexican community in the United States, and presented their plans at the end of the event. The Institute of Mexicans Abroad of the Foreign Ministry will select the most outstanding projects and work to implement them in 2017. Nava and Ramirez say the conference was an enlightening experience on several fronts and they were blown away by the number of resources and opportunites available. For Ramirez, a senior studying computer engineering, the event was a way to understand how to help other DACA students succeed in STEM careers, both in the U.S. and in Mexico. Nava says she also learned a lot about resources, but as a panelist at the conference, what impacted her the most was learning how many students in the country face situations similar to hers. She says it was encouraging to see the diversity among those in attendance and their willingness to help their peers. The conference was such a success, the Mexican Department of Exterior plans on making it an annual event and will be held in New York next year. Moving forward, the attendees are encouraged to work with their local consulates to spread the word about resource. Both Nava and Ramirez are enthusiastic about helping the New Mexico consulate and are already taking steps to organize local events.